Call 301-678-9765 to schedule your first appointment. If you have hearing loss, see how hearing aids in North Bethesda, MD, can be used to change your future. Miracle-Ear® is America's most recognized brand of hearing aids because we offer a range of styles and provide impressive ongoing support. We’ll give you our personal attention and help you choose the right hearing solution for your particular situation and lifestyle. At our hearing aid center, we understand that hearing loss is more than just an inconvenience. Research shows that hearing loss makes it difficult for people to interact with other people, and being in large groups can become particularly challenging. Many people who struggle to hear will choose to avoid restaurants, family events, and parties of all sizes. There is a better solution. Rather than retreating into a world of silence, see how we can restore your hearing with hearing aids using our GENIUS™ Technology or one of our other state-of-the-art options. Our goal will be to help you hear clearly while still feeling confident about your appearance. We have hearing aids that are completely hidden inside the canal, and some of our units are flesh-colored so that they’ll closely match your skin tone. Our aids can be customized to suit your lifestyle and particular listening needs, and we can make adjustments to them in case your hearing needs change over time. Trust our Hearing Care Specialists when it’s time for a free hearing test*. We offer services throughout Bethesda and the surrounding areas, and we’re looking forward to improving your hearing. We offer a three-year warranty** on most products, and you’ll appreciate our ongoing care and annual exams. We have more than 1300 locations nationwide, so you can get a high level of support even when you’re on vacation. 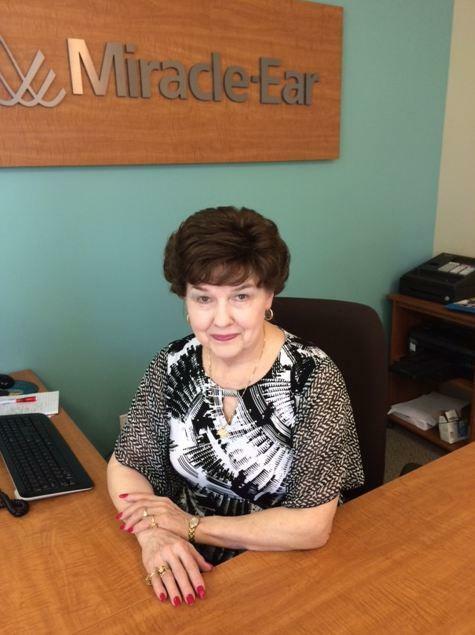 Call Miracle-Ear today to learn more about our options and to schedule your convenient appointment. 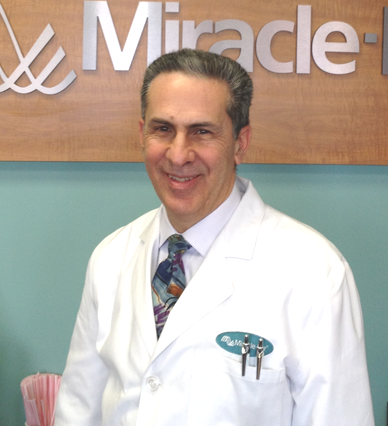 I have been in and out of the hearing care field for over 35 years. I had some experience in this field in the mid-1970's, though I left the field to go into public education in Montgomery County. I was a science teacher, counselor and middle school principal in the county. My love of science led me to a job as the Director of Education at the National Zoo in Washington DC, as well. However, I found myself coming back to the hearing health field several years ago. I have also taught at the graduate level at McDaniel University. I am completing my doctoral degree at this time and should be finished in the next year or so. Not surprisingly, I take an educational and counseling approach to fitting hearing aids- taking time to fully explain the process and product alternatives. I have been encouraged to see many people transform their lives, especially with loved ones and friends, through one of our many hearing solutions. It is amazing to see the difference in someone's life when they regain the ability to hear conversations, reconnecting with family and friends. The observed behaviors seen with hearing loss can be devastating - behaviors such as isolation, failure to understand what people are saying, and loss of desire to communicate are just a few. Reversing those behaviors is my goal. On a personal note, I am married with five boys - aged 27 to 14 and two dogs (rescued Shelties). I grew up in Brooklyn, NY but Maryland has been my home since 1976 (moving here after graduating from Cornell University). My wife grew up in Southwestern PA and loves the Steelers. My oldest son proudly serves in the military. My next son recently graduated from college and the other three boys are in high school. I see patients in two stores - King Farm and North Bethesda (near the former White Flint Mall). Although people can purchase hearing aids from a variety of sources, I am committed to offering the best service possible-"going the extra mile" is not a slogan for us, it is how we do business. We appreciate the trust our present patients have in us and welcome new patients. My name is Elsie, and I am the Front Office Assistant. It will be my pleasure to make an appointment for you and to greet you upon your arrival in our office. I am a proud native of Tulsa, OK, retired from the federal government and have one daughter (who is the front office assistant in our King Farm, Rockville office). I have three grandchildren, and two great-grandchildren. My family is my joy, followed by experiencing different cultures in travels around the world..
**Not valid on Audiotone® Pro. See store for complete warranty details.